T5 LED tubes are seen as being the direct replacement for the T5 fluorescent tubes that have been on the market for a number of years. The newer tubes come with better technology and this means that they are far more efficient than the previous models resulting in you getting the same amount of light, but using a fraction the electricity to do so. These tubes come with two pins at either end and generally come with rotating caps making sure that they are easy to fit, but are also held securely at all times. No other types of fittings are generally available, but there are different options when it comes to the number of watts with the bulb meaning you can use them in a number of different situations depending on the size of the room that has to be lit. One of the first things to do is to look at the number of watts you need and the main ones that are currently on the market range from 3W at the lowest end up to 22W at the higher end. 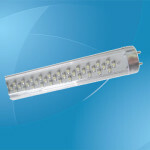 The other ones that you may see for sale tend to be 6W, 10W, 12W, and 20W, but apart from the power you do also need to think about the length of the tube as they do also vary. With the lengths, then it does generally mean that the lower the number of watts, then the shorter the tube and in the case of the 3W version, then you are looking at it being around 300mm in length. This will then increase up to 1500mm with the 22W version with other distances in between, but do be aware that different manufacturers may alter the lengths and you are advised to look at the size of the actual fixture that you have before you make any purchase. These bulbs do not come in various shades and they cannot be used to alter the atmosphere in a room since the only thing you will be able to buy is a normal white shade rather than even warm white or cool white that you could get elsewhere. 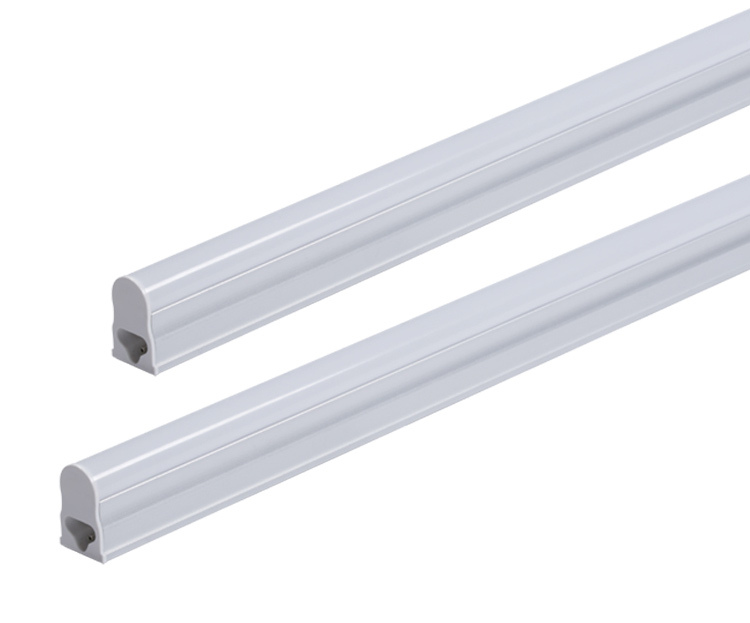 The reason for this is that these T5 LED tubes are more about their practicality rather than anything else and that is directly related to the way that they are used both around the home as well as in a commercial setting. In general, the places where they are used is directly related to the size because the smallest tubes are often used in display cabinets or even under cabinets to add light in what would otherwise be dark areas. Finally, it is worth mentioning their improved efficiency to show you why you should look at converting to these newer models rather than the old fluorescent tubes. 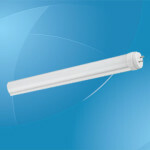 Basically, these T5 LED tubes are capable of providing you with up to 50,000 hours of light before they will need to be replaced and they will use approximately 60% less energy in the process. What this means is that these tubes will pay for themselves during their life thanks to the savings that are made and this alone is a major reason as to why you should look at replacing your old tubes for their modern equivalent. Power: 4W; Input voltage: AC 85-265V; Power factor: >0.90; Light source: SMD3014; Luminous flux: 350lm; Beam angle: 120°; CRI (Ra>): 72; Cover: Clear/Frosted; Color temperature: 3500-6500K; Material: PC+Aluminum; Base: G13; Dimension: L300xD16mm; Warranty: 2 years. Power: 7W; Input voltage: AC 85-265V; Power factor: >0.90; Light source: SMD3014; Luminous flux: 600lm; Beam angle: 120°; CRI (Ra>): 72; Cover: Clear/Frosted; Color temperature: 3500-6500K; Material: PC+Aluminum; Base: G13; Dimension: L600xD16mm; Warranty: 2 years. 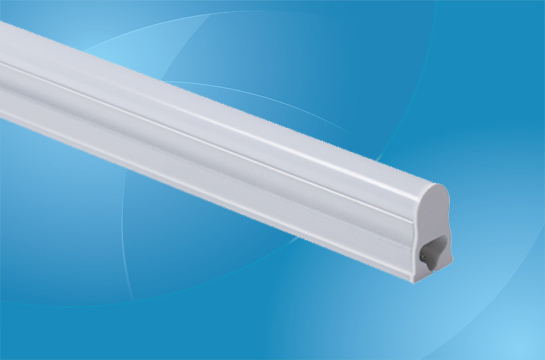 Power: 10W; Input voltage: AC 85-265V; Power factor: >0.90; Light source: SMD3014; Luminous flux: 850lm; Beam angle: 120°; CRI (Ra>): 72; Cover: Clear/Frosted; Color temperature: 3500-6500K; Material: PC+Aluminum; Base: G13; Dimension: L900xD16mm; Warranty: 2 years. Power: 13W; Input voltage: AC 85-265V; Power factor: >0.90; Light source: SMD3014; Luminous flux: 1150lm; Beam angle: 120°; CRI (Ra>): 72; Cover: Clear/Frosted; Color temperature: 3500-6500K; Material: PC+Aluminum; Base: G13; Dimension: L1200xD16mm; Warranty: 2 years.